I’m pretty sure they don’t. Read the annual review that is. You see, the problem is that so many of our charity communications are grey dull affairs, full of the information we want people to know. But what do our donors want to know? Surely the purpose of our publications – appeals, donor newsletters, annual reports, and all of the additional bumf we print and mail – is to engage our supporters in our work. It seems counter intuitive that these publications could be uninspiring. Our stories and our cause are surely the exact opposite. If we were telling a friend about our work we would speak with passion – and it’d be riveting, dare I say inspiring!? But when we write, we tend to use our organisation’s voice, which often leans towards corporate jargon and fundraising spiel. This does not engage, touch or inspire our donors. No, if we want our donors to continue giving (this is the point yes?) all of our communications must show them how they have personally made a difference. If they are a £50 donor, telling them about the new building funded by a very generous major donor will not cut it. Talking about major donors, Niamh wrote last week about how to thank them and said "We must remember that every gift we get from our donors is a down payment on the next." Let us not forget that this is as true for our £50 donors as for our £50k ones. They too want to know what their gift has enabled? Why you value them as a supporter? What their support could make possible in the future? We cannot personally write to every donor, and not everyone should receive a phone-call from the CEO, but we can make sure that our mass-produced donor publications are both relevant and interesting. 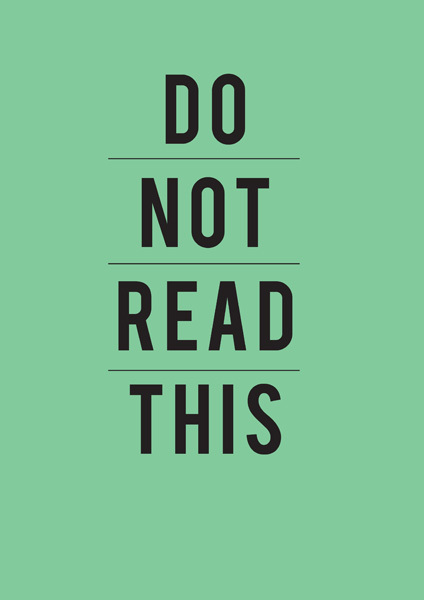 Ask yourself: would I read this? Does it grab my attention immediately? Is the cover headline captivating? Is the tone warm and conversational? Is this about our organisation or about the donors and our cause? Fill your communications with the passion that drives your organisation and you will produce content your donors might actually want to read. Now if you’ll excuse me, I’ve got a donor newsletter to write... this time with feeling. If you’ve received or written any particularly engaging donor comms recently, I’d love to hear about them. Contact me on twitter @brownrach or comment below. PS If you’re struggling to get your inspiring content signed off by the big guys, take a look at this previous post before you next go to into battle. We must remember that every gift we get from our donors is a down payment on the next. A single, impersonal letter is not enough. This is a way of bringing the donor into contact with the results of their donation. The bigger the sense of making a difference your donor gets, the bigger the future gets for your organisation. The most important reason that your donor is giving you money is to make a difference in somebody’s life. It is important to find novel and effective ways of saying thank you, and an effective thank you programme will build and strengthen your relationship with your donors. 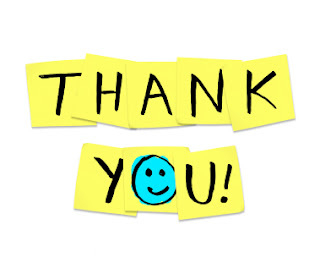 · A handwritten thank you card that goes out within 24 hours of getting the gift – Sometimes I feel this is a lost art. How good does it feel when you receive a handwritten note in the post? · The official thank you letter and receipt which is used for tax purposes. · A personal phonecall from yourself. · The CEO/MD/Principal thank-you (gift-size dependant). · Two thank-yous from board members outlining the impact the gift will have (gift-size dependant). Please do twitter me any thank you letters you know have worked for your organisation. Now, just in case that's as clear as mud next week I'm going to look at some case studies of how this might work in practice! 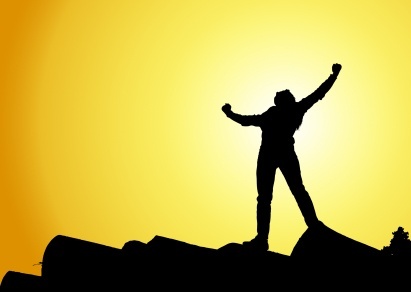 Whether a manager of people, products or projects you need to know if you are succeeding in you goals. In my last post, In praise of data - Why should we analyse?, I mentioned the three areas that I focus on when deciding my analysis priorities; planning, measuring performance and targeting activity. In order to deal with the second of those, measuring performance, I have decided that I need to channel the living spirit of that old sage Donald Rumsfeld. His profound wisdom can help us dissect what it is we need to be thinking about when looking at the state of our business. It is essential that you measure the things that matter. You need to consider what it is that marks out success, risk and failure in your business. If you work in a small or new fundraising operation you need to decide where to start with reporting and setting targets. You may be looking to replace existing systems by integrating data into a new CRM. What questions do you need to ask the vendor to ensure that your new CRM meets your reporting requirements? Defining what is important to measure is a more difficult question to answer than it may appear at first. This is why it is really important to keep it simple and to start with the basics. So lets remind ourselves of Donald’s words. Examining your needs from “known knowns” to “unknown unknowns” will give you a solid insight into what is important to your business and what you can do to minimise any risk of straying from those priorities. These are the things which you have already identified as significant where you have some idea of scale. It is wise to consolidate what you already know. It is true that there is a difference between counting and measuring but it is a good staring point to think of how big your constituency is, how many donors you have, how much money you have raised. You may already have some idea of the age breakdown and location of your donors. I would also suggest it a priority to know how many good addresses, phone numbers and email addresses you hold. So counting is fine it tells us what we have, gives us a sense of scale, but it is not so great for directing strategy. You need to turn those counts into measurements by looking at change over time. I suspect you already know what your known unknowns are. Thinking about these will help you settle on your key measures. You may already know that you need to record change but you don’t understand yet the impact that change will have on your business. The trick is to know if the numbers are rising or falling. Break your donors into three groups. Those that are new to your organisation, those that are renewing (gave last year as well as this) and those that are regained (gave at some point in the past and gave again this year). Measure these per year and measure these per constituent. How many of your new donors last year progressed to become renewed donors this year? The more important metric in this case is the attrition rate. You will no doubt uncover that you have trouble retaining first time donors. What we are really talking about here is defining a risk which will lead to decisions on what can be done to negate that risk. Breaking down your donors into groups allows you to think about different retention tactics for each. By focusing attention on turning known unknowns into known knowns, fundraising managers can improve the effectiveness of their donor acquisition and retention programmes. The unknown unknowns are something else and really at the heart of data mining generally. Recording data effectively and devoting time and resource to investigate relationships within will tease your unknown unknowns out. You have to be sensitive to what the data is telling you and the changing business need. When thinking about donor participation levels it was new and interesting for me to uncover just how connected age is to giving levels. I discovered that 20% of constituents over the age of 43 had donated at some point while only 1% of constituents under the age of 43 had ever made a donation. Discovering basic facts like this can lead to a change in tactics for communicating with and asking younger constituents. Adding context gives you the insight you need to inform strategy. Where will I spend the rest of my budget in order to maximise my return? Measuring constituents by time zone is a newly identified known unknown brought in by a new business need to call overseas. Email opens and clicks also now need to be measured. This is brought about by the shift in focus from paper communication to electronic. Unknown unknowns will jump out all the time. You just have to pay attention. So when establishing a programme of measuring start with a short list. Remember not to over complicate. It is ok to start by counting what you have. You can then move your process forward by looking at change over time and change by the various constituent types. Remember to not only look at year on year change but look at trends over time. What is your 3 year rolling average? I’d be interested to hear from others that have started measuring or have established metrics in place. What do you consider to be most important? Of course there are many ways to represent performance measurements in insightful ways and I’ll say something more about that another time. The key to success in fundraising is building long term, deep and abiding relationships with people who have the capacity and propensity to give to your organisation either now or at some time in the future. Systems do not raise money, people do, and individuals only give money away to other individuals whom they enjoy and trust. Research, Cultivation, Solicitation and Stewardship. Continuous cultivation is the process of moving people from a state of unawareness, to general awareness, to informed understanding, to sympathetic interest, to engagement, to commitment and finally to passionate advocacy. The task of cultivation is to move people along this continuum. Cultivation needs discipline. Ask yourself constantly “what am I doing with my top prospects”. Distinguish between activity and progress. Great relationships in fundraising happen the same way great friendships happen. You get to know people and you share things with them. You become part of their lives and they become part of yours. Make them insiders to your organisation. They want to become 'family' which means they need to know about your organisation - warts and all. Don't be afraid to share problems with them, and ask them to help resolve issues. The more a supporter feels like an insider, the greater the stake they have in the organisation and the larger the investment they can justify. Spend more time with the people who give you the most money and familiarise yourself with their thinking. Find out their motivation for giving to you and other organisations – ask them, listen and learn from it. The more you spend time with them, the more you will be able to identify other people like them. To build a stronger relationship with a friend you don’t need to buy expensive presents, you just need to spend more time with them. Careful and strategic cultivation pays-off, it sets the stage for easy and success 'asks'. Major Gifts KPIs - how much can you raise (part 2)? Last week, wrote about setting financial targets for major gifts fundraising (How much money can you raise?) and I talked about the factors upon which this depends e.g. Now let’s put some flesh on those bones. If you’re working on high value gifts e.g. 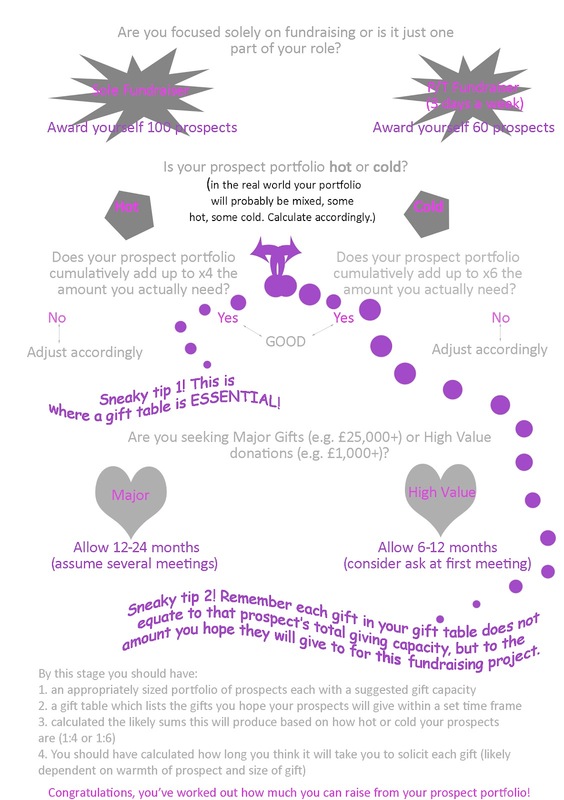 £1-£5K you might be soliciting a gift on your first meeting. Let’s put time scales at 0 – 6 months. If you’re working on major gifts e.g. £100,000 - £1M you might taken longer in the planning and solicitation. Let’s put time scales at 12 – 24 months. 1:4 ratio: I like to work to a 1:4 (even 1:6 for a cold pool) ratio for major gifts. That means for every gift you want to solicit you need to have four prospects. Let’s go back to the bullet points above: size and quality of your prospect pool. If you don’t have x4 the amount of prospects to the number of gifts you need, you should seriously think about revising your targets and timelines because you need to spend time not just on soliciting money but on growing your prospect pool (more on this in a later post). Again, let’s go back to the bullet points above. Size and quality of your prospect pool, warmth and affinity of your prospect pool and project for which you are fundraising. If you have no £500,000 prospects in your pool, you will not be raising £500,000 gifts. Not unless there is a clutch of freak lottery winning windfalls amongst your prospects. Match your predicted gift table to your pool. A donor’s first gift is unlikely to be their largest. If this is a cold pool you are unlikely to be receiving the maximum gift a donor can give. That will come later. Adjust your expectations accordingly. Are your prospects actually connected to your organisation or randomly culled from a rich list? If the latter, they have no affinity. Increase that ratio from 1:4 to 1:6 or higher. Will your project actually command big gifts? What could a million pounds do? What could £5,000 do? If you don’t know the answer to this, you won’t be securing big gifts. Generally Big Strategic Gifts tend to be for ring fenced projects. You can only solicit gifts if you are busy meeting donors. This means the number of gifts you can solicit will be dependent on the number of meetings you can feasibly achieve. See last week’s post on meeting targets for major gifts fundraisers for more on that. So here’s the magic formula. Okay, so that was a lie. There isn’t a magic formula because frankly, I couldn’t come up with a formula if a calculator was surgically embedded in my brain. I rely on clever people like Collectivist Paul for that kind of thing. No formulas. But fantasy novels, those I can do. Remember those Choose Your Own Adventure Books? Oh no. You’ll have to wait until next week for that *evil laugh*. There is a great expression which says that a camel is a horse designed ‘by committee’. One can picture the meeting. While the coffee is hot, this horse still vaguely resembles a horse. It has four legs and a bunch of hooves. It is happy for someone to sit on it. Then someone around that committee table decides that it would be a great idea if this horse could carry its own food and water on, or indeed in, a pocket on its back. Another proposes that it ought to be better equipped for long treks along deserted sandy beaches, so could it have wider feet and sealable nostrils please. A third… you get the picture. So – the committee can get it wrong by talking too much, or by not talking at all. Most often though, a group of people working jointly on one proposal gets it wrong by not giving one person the overall responsibility for ultimately getting it right. Crucially, giving one person the job to look after the integrity of the proposal will mitigate against some of the inevitable pitfalls that come with working as a group. 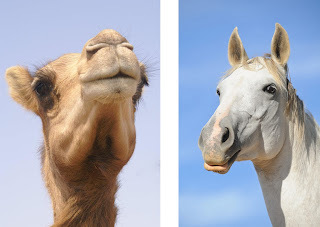 This one person will make sure that - be it horse or camel – the proposed four-legged mammal fits with the requirements not only of the committee who designed it, but also the person or body who will ultimately be paying for said beast. That same person will ideally lead the discussion in a way which allows all those with views or ideas to express them, but will not allow the conversation to stagnate on the number or the length of the whiskers. He or she will check that the right number of hooves and toes are present and correct at the time of submission, and must ensure that the proposal does indeed get submitted on time. This person can be a fundraiser, an able research administrator, a keen academic, charity worker or a consultant. The point is that without this person, that horse – or camel – may not get out of the starting gate, let alone jump its first hurdle. Sometimes it all seems hopeless. 8 million children died last year from preventable diseases. Hundreds of thousands of people have been affected by the most recent natural disaster. 1.6 million kids here in the UK live in extreme poverty. These are the causes that charities raise money for each day. But how can we encourage donors to respond to issues of such magnitude? The likely answer – to tell them the sheer scale of the problem – doesn’t always work as well as you might imagine. You see, if you want me to support an appeal to end child poverty, and you tell me that 8 million children are dying as a result of it, it all seems too much. Even if we're talking about child poverty here at home, 1.6 million is a terrifyingly large number. My reaction is to think that my donation can’t touch this problem - that it would be too insignificant to make a difference. 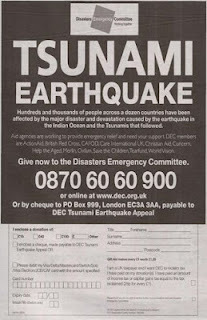 This advert here is an emergency appeal for a recent natural disaster. It tells us that hundreds of thousands of people have been affected by the major disaster. This is a tragedy, but my £50 cannot help hundreds of thousands. As a result I do nothing. As charities we must present donors with options that will show them how their money will go to work,options that will show them how their donation can make a difference. More than 2 million children die every year in India from starvation. The scale of this is more than I can comprehend. But what ActionAid have done here is to present me with a situation that I can make sense of. 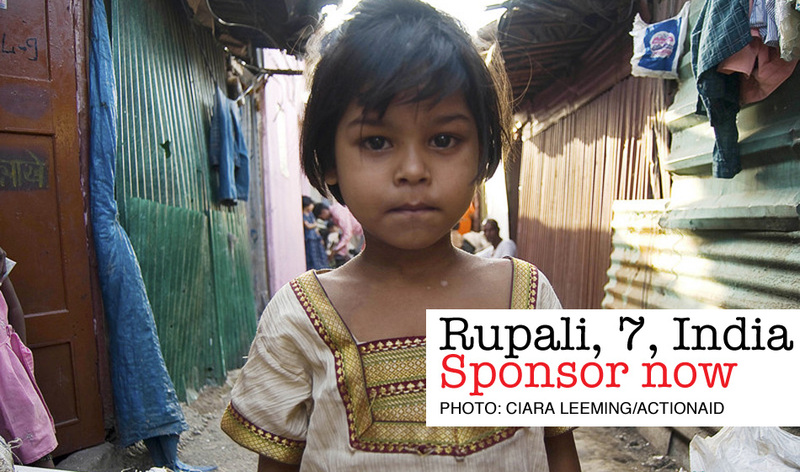 Seven year old Rupali lives with her family in a one room shack in the slums of Mumbai. She does not eat properly and cannot afford to go to school. 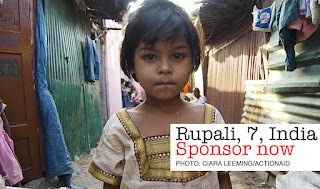 Sponsoring Rupali costs just 50p a day. I can help here. I can make a difference to Rupali's life and situation if I can give 50p a day. Whatever we are raising money for, we would do well to remember Rupali's story. We might not be able to help the 2 million children starving in India, but we can help this one. At the end of the day, most people really do want to make a difference. And as charities, it is our job to offer them a chance to do just that. The Fundraising Collective is delighted to welcome guest blogger Aysha Awan. Having spent 12 years in events and fundraising, Aysha recently took up a brand new post as Press and Celebrity Officer at The Salvation Army. Having spent some time working with celebrities in previous roles, I was keen to develop my skills in this area as I noticed a gap in the market. Love it or loathe it, celebrity culture has consumed us and has seeped into all of our lives - celebrities can be found gracing magazine covers, endorsing the latest fashions and have a power over the everyday consumer that can't be denied. And clever charities have picked up on this trend. The amount of exposure that a celebrity can bring to your cause is immeasurable. I witnessed this first hand a few weeks ago, when attending a charity event, spearheaded by celebrities who shall remain nameless, but are firm fixtures in the likes of Heat magazine, being the reality TV stars they are. They were great advocates of the cause and charity they were supporting, however, we all knew that every photographer and reporter present in the room, was there for them and the cause was secondary. However, thanks to clever branding of the stars and coaching from the charity press team, they were able to harness the attention being lavished on them by the press, and redirect it into endorsing the campaign. This led to the campaign gaining exposure in over 22 magazines published the week after the celebrity launch. To those of you who think celebrity support is a risky strategy, I would agree to an extent. A badly behaved advocate for your cause will no doubt garner negative press for your charity, but, every good press officer knows that the charity cannot be held responsible for the actions of their supporters? Likewise, major gift fundraising can warrant the same behaviour, when soliciting funds from the wealthy, questions maybe raised when accepting large donations from particular individuals...what's the difference? 1. Know your stuff - you have to make sure you are a walking encyclopaedia on everything celebrity related. From their show size to who they're dating one month to the next. Absorb yourself in Heat, Hello, Grazia, Marie Claire and learn everything you can about celebrity culture. Make sure you know how celebrities are connected to one another - this is especially important when sourcing new patrons - maybe an existing celebrity patron has a link? Perhaps they worked together on a TV show years ago? Know those connections! 2. Get some experience in this area - I got into celebrity management when I was a Special Events Manager and noticed the potential to start a celebrity programme thanks to a very strong network of trustees who had celebrity friends at a particular charity I was working at. More importantly, I understood the appeal of our cause that had in the past attracted a large celebrity following. I noticed a gap in the fundraising team and pushed for a celebrity ambassador programme. But I didn't just ask, I put together a strategy for support, detailing my reasons for implementing a celebrity ambassador programme. Over the course of 2 years I got to know celebrities and more importantly their agents - a key factor! I cannot stress enough the importance of maintaining a good working relationship with an agent. It is almost more important to develop this relationship over the one you will have with a celebrity! 3. Push for a role! - My role was made for me, because I had expressed an interest in this area to the relevant people in the press team. I jumped on any opportunity to get celebrities involved and more importantly, when I noticed a huge celebrity led campaign that was being managed by the Press team, I was the first person there offering help and advice, often in my own time. This led to a great rapport with the press team, fantastic exposure to a national campaign and thanks to my perseverance, a role! Remember, there will always be a market for celebrity culture, it's up to you to harness it for good! All posts by guests bloggers represent their own personal views not those of the organisations for which they work. Recent years have seen the world experience unprecedented financial turmoil but it is proven that philanthropy is playing an evermore significant role, diversifying income across higher education. 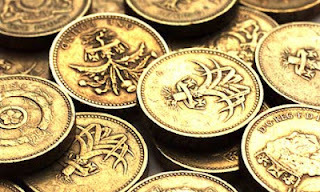 Last week, new data from the Ross-CASE survey of philanthropic giving to UK universities showed that higher education collectively raised £560m in cash income in 2010-11, which is the third consecutive year that it has exceeded £0.5bn. As we are well aware, the government is planning to introduce a new cap on tax relief, which could have a major negative impact on our major donors – watch this space! This is, and will continue to be, a difficult time for all of us in the sector - so what should we do and how should we be reacting? The key is to be flexible and adapt to different circumstances. There are currently over 185,000 registered charities in the UK - we have competition. Long time supporters need to hear from us, new audiences need to be cultivated, and new sources of revenue identified. We need to analyse our mission, communications, supporters and audiences. 2. 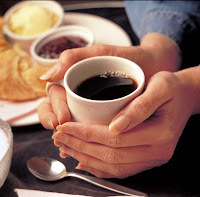 Go back to basics - remember the fundraising facts of life. 3. Lead your board, and mine your database. Strategic planning is a tool for transforming and revitalising your organisation. Set realistic goals, define action steps and responsibilities explicitly, and get the views of many. A strategy can identify your organisation's strengths and weaknesses, spot new opportunities and ways to do things differently. It will provide an invaluable blueprint for growth and revitalisation enabling an organisation to take stock of where it is, determine where it wants to go and chart a course to get there. The cliché is 'if you want money ask for advice'. We all have great resources of talent on our boards and among our supporters. Meet them, call them and ask them “If you were me what would you do?” People are always flattered when asked for advice. 1. Asking is your greatest fundraising tool. 2. People need to be inspired by a vision. 3. Money is not given – it has to be raised. 4. Money is not raised at your desks – it has to be gone after. 5. Money is attracted by strength, not weakness. 6. If you’re not asking your donors for money, somebody else is! No matter how talented your board members are in their respective fields - as Rachel mentioned last week - they probably are not familiar with fundraising. Accordingly, the board's effectiveness and engagement is directly related to your input and guidance i.e. we get the boards we deserve. Our challenge is to offer them a way to find their passion and pursue it to improve the lives of others. We have to lead this process. It won't happen without us. We are the professionals at work on this full-time. They are part-time volunteers with limited time, understanding and energy. We have to educate. It is a case of 'the board as your boss - you as their leader'. They think fundraising is the same as asking (which most don't want to do) and thus take no part in the other 95% of the fundraising process. We have to show them that fundraising is a much more complicated process than just soliciting and show them easy ways to support fundraising that doesn't involve soliciting. They have to be convinced that the conversation is not about the money - it's about the mission. As with all sales the most likely person to give is somebody who has given before. Strangers don't give. Analyse your database and build your prospect pool. Track and collect data on your supporters. Develop visit and call reports. Include follow-up steps in call report summaries. Track 'moves' with prospects. Create individual strategies for individual donors. Design an individual plan for each of your top 50/100 donors. They may not want to give now but that is not to say they won't be in a position to do so in the future. Work out what you do every three months with each prospect. Important Stuff every Organisation Should Think About. Sometimes we need to reflect and re-evaluate why we do what we do. For me, as a fundraising data analyst, I find it extremely useful to regularly go back to basics when prioritising my work. A well structured report can be a powerful weapon to prove a point or hammer home an idea. The trick is to keep things relevant and useful. My dabblings in the database are not simply to feed my curiosity. I don’t produce reports to act, as I have heard others suggest, as a sort of carrot and stick to coerce those fundraisers into doing what they are told. I ain’t the data entry police. So why is it important that I do what I do? 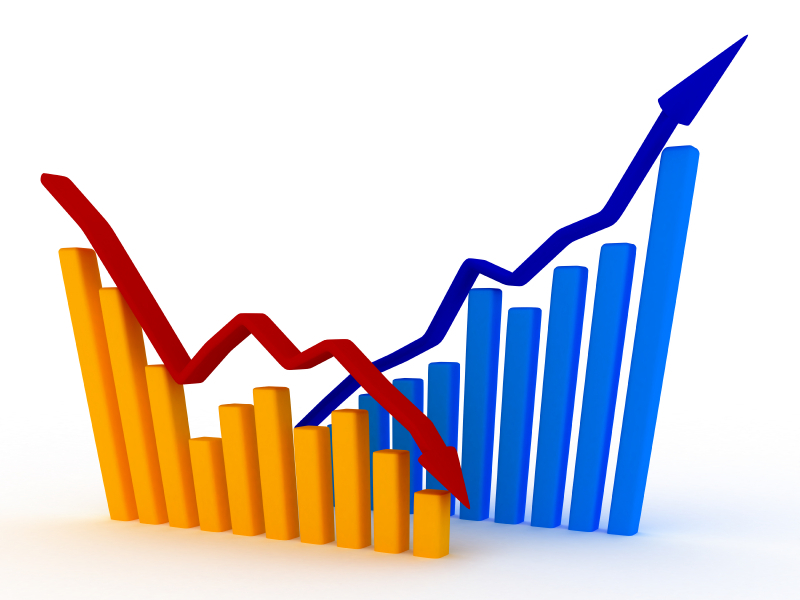 Why is data analysis so important in a fundraising environment? To answer this we have to remember the key factor that data analysis is a means to an end. Sounds a bit negative but I don’t see it that way. We have to remember it is all about the business of raising money for good causes. If the analysis is not firmly connected with that drive then it is not relevant. For me, data analysis has its biggest business impact in the 3 main areas of planning, measuring performance and targeting activity. I realise of course that this is not an exhaustive list. For now I’ll say something about Planning. Seems obvious but much of the process of deciding what to fundraise for and how much we can expect to bring in is done on operational necessity and instinct alone. If you mention feasibility studies or project management, unless you are lucky, you are in danger of being treated with a level of contempt usually reserved for criminals and traffic wardens, or so it seems. I’m not suggesting that working on experience is a bad thing but somewhere along the line there will be someone relying on that money arriving in the quantities you have promised and on time. HE institutions for example need to consider what it is appropriate to fund out of budget and what it is appropriate to raise new money for. describe effectively what has gone before. describe what can realistically be achieved under similar conditions. describe the level of investment needed to achieve this. Remove the blindfold and get a true picture of what you have! This involves looking at the capacity and level of engagement of the constituent database as a whole. It also involves looking at the donor journey from initial cultivation to gift. How long does that take and who needs to be involved? Knowing how often that process can be repeated and what quantities of gift can be expected can lead you to an achievable and realistic target. The overarching theory is that we all want to make good decisions. We want to foster an environment where sound judgement is applied through all aspects of our work. We can do this if we are adequately informed. I remind myself that I do what I do because we need an analytics programme to help us make decisions that change the way we work for the better. Me, I love Twitter. I'm an information magpie. I love picking up hints and tips. I love skimming across snippets with the speed of a skimming stone, finding new gurus to worship and new sources of useful stuff. I love being part of a vibrant community. I love learning, I love sharing, I love spreading the love. 1. It's about communities of interest, bound together in a common cause. Eh what? At first Twitter can seem random, like being a telepath bombarded with millions of voices all at once. How do you tune out and tune into to your voices? Hashtags. These are those thingummys with the # in front of them. Search by them, click on them and they sort Twitter for you. #BFGW? That's right. That's all the people in the world watching My Big Fat Gypsy Wedding (and telling you about it). #Writetip? That's writers sharing knowledge with each other. Get the drift? Find people like you and see who they follow. You find your guru on Twitter, sending useful relevant tweets about one of your areas of interest. Who do they follow? Who follows them? Find, follow and your community grows. So you've found your cause on Twitter, your area of interest. What do you do now? 2. You participate. Like fundraising, Twitter doesn't work in a vacuum. You need to get out there, you need to talk to people. The more you give, the more other people give. You react to a tweet, ask a question, retweet (RT) and a relationship starts. You interact. You support each other, because it is mutually rewarding. Call it cultivation. The more you actively cultivate, the more likely someone is to give to you. The stronger the community, the stronger the relationships the more support you will get. Increase your participation rates and you increase your supporter base. 3. You say thank you. 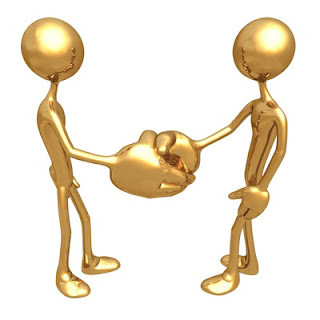 The golden rule in fundraising is to thank people seven times. Someone retweets you? Say thank you. Someone suggests people follow you (hashtag #FF or #FollowFriday)? Say thank you. Someone shares something useful? Say thank you. Someone follows you? Say thank you. And when you have thousands of followers? Anyone that knows the Pareto Principle knows that you need to prioritse. That's where lists come in. Use them. In the end, social media is just that. It's social. It's about community. It's about relationships. During this announcement a couple of nervous passengers will look up from their book. The rest of the passengers do not notice and certainly do not listen. They do not care. A few years ago I flew with a small budget South African airline called Kulula. Think easyjet, but their signature colour is green. Anyway, they taught me a thing or two about getting people’s attention.A woman took to the microphone. “Ladies and gentleman please can we have your attention for a quick safety announcement. Please listen carefully, it will be followed by a test.Smoking is forbidden on this flight. If you are found smoking in the toilets you will be ejected from the nearest exit. Either that or you will be fined R8000, and for that price, you could have flown South African Airways. 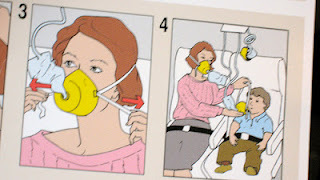 In the unlikely event of loss of pressure, an oxygen mask will fall from the panel above your head. Please stop screaming and place it over your nose and mouth. If you are travelling with a small child, please place your own mask on before helping them. If you are travelling with several children, pick your favourite. If we land on water – which is highly unlikely as we are flying over land – your lifejacket is found under you seat. Please remove this and place around your neck. Your seat can also be used as a floatation device – do take this with you with our compliments. There are 4 emergency exits on this plane. The crew will now do the macarena and point them out to you. Please do take notice where your nearest exit is, and consider that when you are trying to find it, it may well be above or below you. You get the gist. It was captivating. Years on and I can recall the details of a safety announcement. 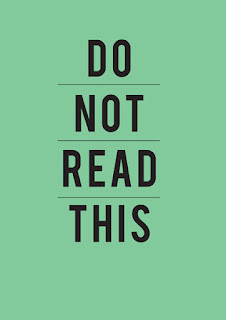 A safety announcement. But what can Kulula’s witty spiel teach us as fundraisers? Well, if that safety announcement had been a request for funds, I would have given. I’m pretty sure my fellow travellers would have considered giving too. The announcement was totally unexpected. It broke the pattern of every other safety announcement I’ve ever heard. And it caused me to sit up and take notice. As fundraisers we need people to sit up and take notice of our message, our cause, our requests for money.So, we need our message to be unexpected, to break the pattern, and to make the passengers look up from their books. Welcome to Guest Collectivist Kate Clift, Founder and Director of Six Sisters Ltd, a company specialising in higher education fundraising and copywriting. Kate is guest posting on what you need to think about when starting up your first Development Office. A couple of years ago, after many years in the HE sector, I decided to make the break with regular employment, take a deep breath and plunge into freelancing. I specialise in the externally focused aspects of higher education concentrating primarily on advancement and writing. It has been exciting, stimulating and just a little bit frightening to run my own company – Six Sisters Ltd. The variety of work that freelancing brings is one of its great benefits and I have been lucky enough to get involved in many interesting projects. "Fundraising is a team sport"
Know yourself – you can’t set out on a fundraising journey unless you understand where you are starting from. Before writing your strategy conduct a thorough SWOT analysis of your starting position and plot out what resources you need to create an adequate launch pad for your new venture. Look at things like: existing income, number and quality of prospects, staff and non-staff resources and importantly, how receptive your institution is to starting fundraising. Be realistic – don’t be overawed or given false expectations by the multi-million pound success stories you hear about. Your targets should be based on what is achievable for YOUR institution based on a sensible assessment of your prospects and resources. 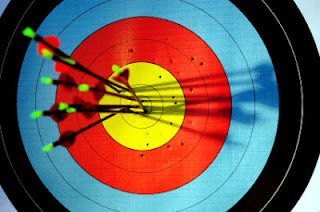 You need targets so you can measure your success. Don’t try and do it alone – fundraising is a team sport, you won’t succeed if you try and do everything yourself. You need the co-operation and support of colleagues across the institution. Be organised – fundraising is a systematic process that benefits from strong organisational structures. Give priority to getting systems and policies in place as it so much harder to develop these retrospectively. There is a wealth of information and support available for start-ups through organisations like CASE, the Institute of Fundraising and SOFII. Don’t forget one of the best sources of help is the wisdom of others which you can find online in blogs or through networking with other development professionals. Don’t be frightened to pick up the phone and talk to people who have already been through the start-up phrase, they will be happy to help and generous with their support and advice. If you are starting out, then good luck and persevere – it will get better! If you monitor the wrong thing you will drive bad practice. KPIs and targets are powerful things. They can motivate or demotivate a team. They can help to prioritise, or send your fundraiser off on the wrong tangent. They can encourage team working or destructive competition. 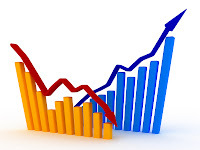 So what is a good KPI and what is a bad KPI? Here's the rub: it depends. What type of gifts you are seeking - £1K or £1M? How well established your fundraiser is - brand new or well established? Your fundraiser's prospect portfolio / pipeline - mature or immature? How well supported your fundraiser is - sole staff member or with an admin team behind them? Portfolio size: A prospect portfolio is the number of prospects your fundraiser can actively manage at any one time. Time was when the industry standard for a FULL TIME fundraiser working primarily on major gifts was c. 100-120 prospects. Current thinking (as discussed at a CASE Masterclass in February 2012) is that 80 prospects is closer to the mark. Ah, I mentioned meeting targets. Yes, meeting targets are an important KPI. They can also be a nightmarish KPI. If you want your fundraiser to solicit Big Strategic Gifts (e.g.£1M) and you give them a 15 meetings a month target, all their energy will go into getting meetings. Lots of meetings. Meetings with every bloody person who will say yes to a meeting, from Ms Wealthy CEO through to the dustbin man's mother-in-law. Lots of meetings not much strategy. If you want your fundraiser to solicit Lots of High Value Gifts (e.g. £1K) then 15 meetings a month is a GREAT target. A brilliant way of swelling your high value pool. A brilliant way of getting high entry level people into your annual giving scheme. 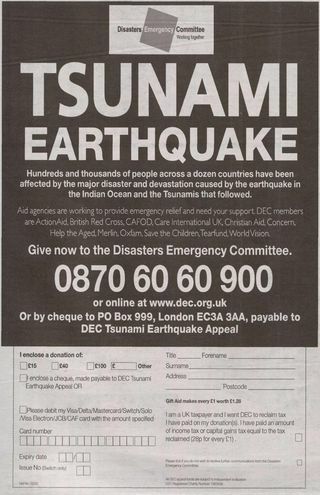 A brilliant way of getting your fundraiser out there making lots of asks. Unless of course they are a NEW fundraiser with an immature prospect pool. We've all been there. A cold group of prospects who don't know you from Adam (or Eve). Who possibly don't know your organisation. Blimey O'Reilly you have to WORK for those meetings. You feel like a double glazing salesman. So if your monthly target is 15 meetings a month, you will very quickly feel demoralised and demotivated because a new fundraiser with a cold prospect pool cannot meeting that target. So a NEW fundraiser should have a different set of targets from an established fundraiser? For the first six months in the job, their targets should be about activity focused on getting meetings. Are they picking up the phone? Are they making contact? Are they trying? If they are rewarded for this industry, they will feel motivated. When the meetings start to come they will be thrilled. They will feel successful, and breed success. Let's go back to the Big Strategic Gifts for a minute. If you're working on Big Strategic Gifts you need to focus on a small group of high net worth individuals. 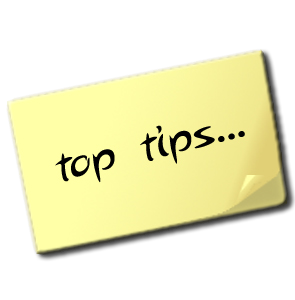 You need to create bespoke solicitation plans and to bring them close to the organisation. Their gifts are likely to multi-year pledges, so a lot of your meetings will be stewardship meetings. For fundraisers working on Big Strategic Gifts you should be looking at a monthly meeting target of c. 8 meetings a month and half of them may be stewardship meetings. These donors are receiving a highly personalised programme of care, with bespoke and carefully planned interactions. And if your Big Strategic Gift fundraiser is brand new with a cold prospect pool? See above! Averages not Exacts: Most of us have variable workloads. In October you might be organising an event, in May an appeal. These soak up time and may get in the way of your meeting targets. Your targets should therefore be a monthly average, not a monthly expectation. Team not Individual: With all target setting ask yourself is this a cumulative team target or an individual target? Which is most appropriate? Which will drive team working?